Srei. 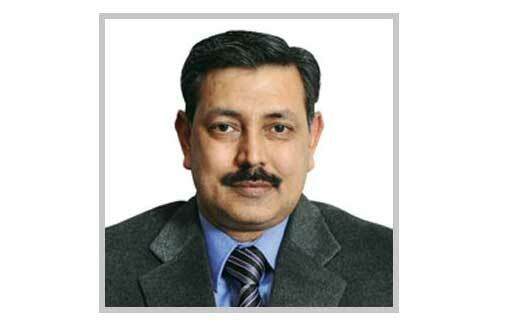 Prabhat Kumar Singh will be the new Managing Director and CEO of Petronet LNG Ltd, India's biggest liquefied natural gas importer. Mr. Singh, 58, is at present the Director of Marketing at state gas utility GAIL India Ltd. "The Board of the company at its meeting today approved appointment of Prabhat Singh as the new CEO and MD," said, R K Garg, acting CEO and Director (Finance), Petronet LNG Ltd.
Mr. Singh said, he has vast experience in gas marketing and trading as well as commercial contracts. "His appointment is a gain for Petronet. We will see growth of Petronet under him." Mr. Singh was selected from among over a dozen candidates who had applied to replace Ashok Kumar Balyan, whose five-year term ended on July 15. A Search Committee comprising representatives of all Petronet's promoters - GAIL, IOC, ONGC, BPCL and GdF of France interviewed the candidates yesterday and recommended the name of Singh to the Board. Besides Singh, other who had applied for the Petronet top job included former SAILChairman C S Verma, GAIL Directors (Projects) Ashutosh Karnatak, ONGC Director (Onshore) Ashok Varma and ONGC Videsh Ltd Director (Finance) S P Garg. Petronet Director (Finance) R K Garg and its Director (Technical) Rajender Singh had also applied. Garg said the Search Committee of promoters replaced a previous panel to select a successor to A K Balyan, who completed his five-year term on July 15. He was eligible for an extension till he attains the superannuation age of 65 years in July 2016, but he was not given an extension. The then oil secretary Saurabh Chandra had in March constituted a three-member panel headed by ONGC Chairman Dinesh K Sarraf. Besides Sarraf, the committee included two independent directors of Petronet and its constitution was questioned by at least one promoter director. The panel could not come up with a consensus by April-end from among seven applicants, including Pramod K Bajpai, the then Director (Finance) of BHEL and an IIT Kanpur batchmate of Chandra. That panel, Garg said, "could not arrive at a decision regarding the preferred candidate by consensus. Therefore, it was decided that an enlarged Search Committee with greater representation of promoters must be constituted." With Chandra retiring on April 30, new Oil Secretary Kapil Dev Tripathi has decided to revert to the old system of choosing the head of Petronet through promoters. The eligibility rules said candidates should not be more than 60 years as on July 16, 2015. Bajpai retired from BHEL on May 31 and thus was not eligible. Petronet is majority owned by state-owned oil firms, but is registered as a private company and the Oil Secretary is its ex-officio chairman.